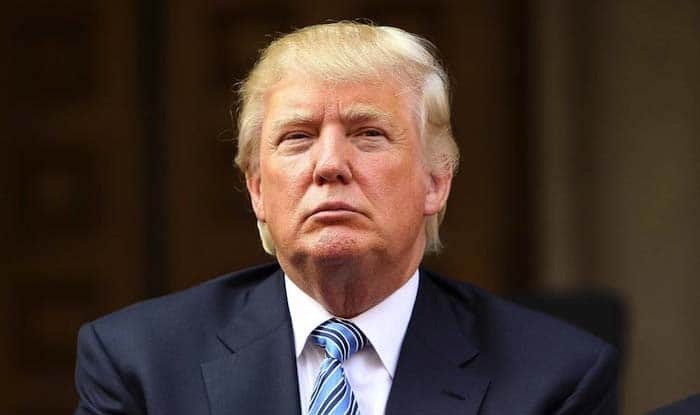 Threatening drastic action against Mexico, President Donald Trump declared he is likely to shut down America's southern border next week unless Mexican authorities immediately halt all illegal immigration. Palm Beach: Threatening drastic action against Mexico, President Donald Trump declared he is likely to shut down America’s southern border next week unless Mexican authorities immediately halt all illegal immigration. The president, who also cut US Aid to three Central American nations whose citizens are fleeing north, emphasised “I am not kidding around” about closing the border, even though such a severe move could hit the economies of both countries. “It could mean all trade” with Mexico, Trump said when questioned on Friday by reporters in Florida. “We will close it for a long time.” Though Trump has previously threatened to close the border and has not followed through, his administration moved to cut direct aid to El Salvador, Guatemala and Honduras. The State Department said in a statement that it will suspend 2017 and 2018 payments to the trio of nations that have been home to some of the migrant caravans that have marched through Mexico to the US Border. Trump has been promising for more than two years to build a long, impenetrable wall along the border to stop illegal immigration, though Congress has been reluctant to provide the money he needs. In the meantime, he has repeatedly threatened to close the border, but this time, with a new surge of migrants heading north , he gave a definite timetable. A substantial closure could have an especially heavy impact on cross-border communities from San Diego to South Texas, as well as supermarkets that sell Mexican produce, factories that rely on imported parts, and other businesses across the US. The US And Mexico trade about $1.7 billion in goods daily, according to the US Chamber of Commerce, which said closing the border would be “an unmitigated economic debacle” that would threaten 5 million American jobs. He didn’t qualify his threat with “or large sections,” stating: “There is a very good likelihood I’ll be closing the border next week, and that is just fine with me.” He said several times that it would be “so easy” for Mexican authorities to stop immigrants passing through their country and trying to enter the US Illegally, “but they just take our money and ‘talk. '” The president, with support from conservative media, has made the large caravans symbols of the United States’ immigration problem. A group of House Democrats visiting El Salvador denounced the administration’s decision to cut aid to the region. “As we visit El Salvador evaluating the importance of US Assistance to Central America to address the root causes of family and child migration, we are extremely disappointed to learn that President Trump intends to cut off aid to the region,” said the statement from five lawmakers, including Rep. Eliot L. Engel of New York, who chairs the House Foreign Affairs Committee. “The President’s approach is entirely counterproductive.” Short of a widespread shutdown, Homeland Security Secretary Kirstjen Nielsen said the US Might close designated ports of entry to re-deploy staff to help process parents and children. Ports of entry are official crossing points that are used by residents and commercial vehicles. Many people who cross the border illegally ultimately request asylum under US Law, which does not require asylum seekers to enter at an official crossing. “If we have to close ports to take care of all of the numbers who are coming, we will do that,” Nielsen said. “So it’s on the table, but what we’re doing is a very structured process based on operational needs.” Trump’s latest declaration came after Mexican President Andres Manuel Lopez Obrador said his country was doing its part to fight migrant smuggling. Criminal networks charge thousands of dollars a person to move migrants through Mexico, increasingly in large groups toward remote sections of the border. “We want to have a good relationship with the government of the United States,” Lopez Obrador said Friday. He added: “We are going to continue helping so that the migratory flow, those who pass through our country, do so according to the law, in an orderly way.” Marcelo Ebrard, Mexico’s foreign relations secretary, tweeted that his country “doesn’t act based on threats” and is “the best neighbor” the US Could have. Customs and Border Protection commissioner Kevin McAleenan said Wednesday that 750 border inspectors would be reassigned to deal with the growing number of migrant families. In Florida, Trump was also asked about the two migrant children who died in US Custody in December. Is the administration equipped to handle sick children who are detained? “I think that it has been very well stated that we have done a fantastic job,” he said, defending Border Patrol efforts to help the children. Trump said that in one of the cases “the father gave the child no water for a long period of time,” although an autopsy released Friday made no mention of dehydration.